We all know diagnosis of rheumatoid arthritis can be complicated. Many of you have told of the months or years you suffered from Rheumatoid Arthritis without a diagnosis. 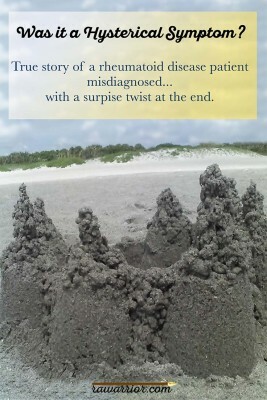 The stories include trips to various doctors who either gave a misdiagnosis or an under-diagnosis. Unfortunately, there are also those who felt humiliated enough to give up and suffer silently. 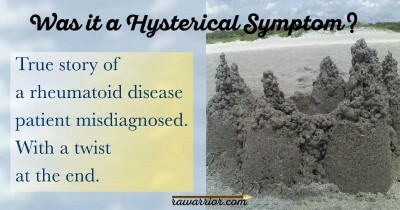 Often, they received what I call the “hysterical diagnosis.” Although I laugh about it with you today, I actually received that hysterical symptom diagnosis several times, so I understand the anguish of it. Out of hundreds of hysterical diagnosis stories that I’ve heard, the most hysterical of all is the story of Kim, a fellow RA blogger. Most of her story is typical. Young woman gets Rheumatoid Arthritis symptoms. Symptoms don’t match ACR standards. X-rays still normal. Lab work normal. Symptoms are viewed suspiciously. Doctor views young woman as whiner. Young woman is sent home with either no treatment or inappropriate treatment. …for the doctor, that is. For the woman, it is only the end of a chapter. She still lives with pain and disability. When she works up enough courage, the woman seeks another opinion. Kim went through this process with at least 4 drugs and 3 doctors. When it became clear to Kim that she had Rheumatoid Arthritis, it was still not clear to her rheumatologist. However, according to the ultrasound results, it should have been. The fourth doctor did diagnose and treat Kim for Rheumatoid Arthritis. And in the process of changing doctors, Kim looked at her previous doctors’ notes. What she read was unbelievable. The rheumatologist had diagnosed Kim with dysmenorrhea – uterine pain. That’s Latin for menstrual cramps. The doctor actually blamed Kim’s uterus for her Rheumatoid Arthritis symptoms. Rheumatoid Arthritis is often triggered by trauma. This includes car accidents, childbirth, family death, or major surgery. For Kim it had been a hysterectomy. That’s right. She did not even have a uterus to blame. And that proves my point that a diagnosis of a hysterical symptom does not require an actual uterus these days. Theoretically, even a man could be given the hysterical diagnosis. But it is more rare. The hysterical diagnosis can occur wherever there is “invisible illness.” It does not require a uterus. It only requires arrogance. Stay tuned to Rheumatoid Arthritis Warrior for our next report on peeking at what’s in those doctors’ notes! I think also that there are so many types of RA, OA, etc it’s hard to pinpoint what is what. Every doctor seems to have different approach, which is really nerve racking to patients. I stopped going to a Rheumatoid MD, instead go to pain doctor and bone guy. Thank you so much for posting this. I am in the process of trying to get a diagnosis and have already been to two doctors, both of whom basically treated me like I was crazy. It is so hard to be told that there is nothing wrong and still have to suffer in pain. Why do doctors often treat young women this way? Anyway, I am going to a third one in October, so I have my fingers crossed. This article definitely made me feel a little more hopeful. Thanks. I blogged about this during invisible illness week. With the many years of misdiagnosis, I was told it was all in my head and was told anti-anxiety meds. Those years were interesting. I went through a similar situation and though I did not get to read all of the doctors’ notes, the few I read were upsetting enough. The first rheumatologist I went to said I had ehlers-danlos and there was nothing I could do about it and I should stop whining (not in so many words but it was pretty clear). It was over a year before I saw another rheumatologist who diagnosed me with RA. His comment was that it should have been pretty obvious I had RA as my symptoms were, “classic.” I wish I hadn’t had those years of thinking the pain was all in my head and wondering if I really was just lazy and stupid. It is hard not to let those voices go, but there was always a part of me that knew something wasn’t right, no matter how crazy I might feel knowing another Doctor was throwing more useless pills at me that would have no effect or just telling me I had to live with it. 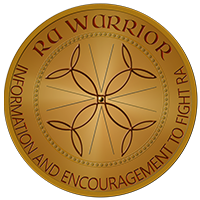 RA certainly teaches you many things….I am more patient, stronger, determined, and confident than I was 3 years ago mostly because of those experiences. All I can think to say is that this is the best RA blog/info/community I’ve ever been a part of. I’ve been on yahoo groups and websites, but this place has it all. What an incredible place you’ve made for us “experienced” RA’ers and equally good for the “newbies”. At the beginning of my journey, I am hoping its not RA but preparing that it probably is, thank you for the posted information, I do not feel so silly and hysterical . come back three times now, non issue thinking its a fungus, but the skin and nail bed are good color. Got sick with a sinus infection 6 weeks ago and 4 rounds of anti biotics, (I have sever gastritis symptoms) and am so fatigued I cant stand it, my muscles are completely week. she said well we will have to talk about it and I am not sure if I will order them just because you want them…. FYI anyone anywhere can order anything via the internet. Glad to live in the information age… Results Tuesday…. FYI RA can be masked as psudogout, found the info online. Hope it’s not RA, but best of luck, Melissa. My head and neck base of skull and jaw, are pretty much at level 2-7 pain all day including when I sleep. I found old blood work from 2003 that shows my Sed rate at 23, when I had many problems with my hand swelling so bad, and that eventually want away and worked it way to my neck. Can the sed rate change for 23 to 3 over the years and isnt that good? Wow, Melissa. This is much more info about labs than most patients ever have. Bring in that old lab when you see the doc. Do you have any photos of the swelling? Swelling is not neccesary w/ RA, but some doctors get hung up on it. The sed rate can change quickly. 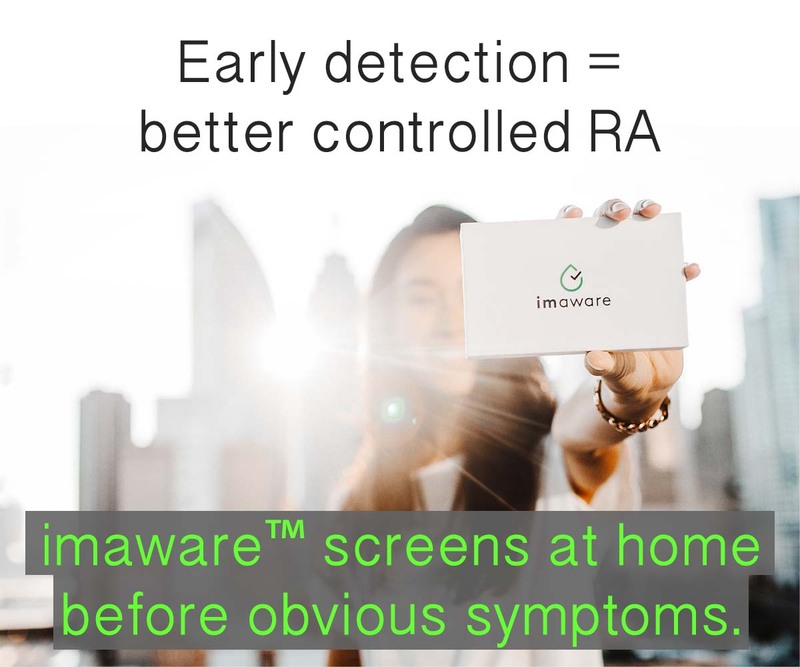 It is not a specific RA indicator – only a general inflammation indicator. Plenty of RA patients have normal sed rate every time it’s tested – with lots of damage. More below. hat does the test result mean? As a rule, test results outside the context of clinical signs and symptoms cannot be judged. Nonetheless, when patients are positive for both CCP and RF, it is very likely that they have RA and it is likely that they may develop a more severe form of the disease. When patients are positive for CCP but not RF and clinical signs suggest RA, then it is likely that they have early RA or that they will develop RA in the future. When patients are negative for CCP but have a positive RF, then the clinical signs and symptoms are more vital in determining whether they have RA or some other inflammatory condition. When patients are negative for both CCP and RF, then it is less likely that they have RA. It must be emphasized, however, that RA is a clinical diagnosis and may be made in the absence of positive autoantibodies. Okay, I can agree with most of this. I was reading about some new studies in “very early” RA diagnosis & treatment. Maybe you will want to Google search with those words. The reason that clinical signs are more important with a negative CCP & pos. Rf is that there are other things that can cause the Rf. CCP is pretty specific, but Rf less. There are still almost 1/3 of diagnosed RA patients who are negative for some combo of these tests. That’s discussed in the Blood test posts. Have you already read the 2-part series on blood tests here? Also, on the top menu, there is a page called Do I have RA. Maybe you can find some links there that will help. from the same clinic. So I think I found one who is both, I am calling tomorrow to see when I can get in. I am sure I have at least a couple of photos of my hands so bad, I remember cutting my hands out of the pics with me and my 6 month old because they looked so bright red and ugly. I had just my regular headache and hand swelling. ;-( I think if I heard my story and not lived it I would think man shes a big baby. Kelly this post really touched a chord for me. My symptoms first started appearing after the birth of our fourth daughter. Before this I had the occasional strep throat or dental issue but for the most part I was pretty healthy. The first the symptoms seemed like many random things. Skin rashes, sores inside my nose, hot flashes, and a tiredness that I had never experienced before. I kept making appointments with my PCP, which was very unlike me. I avoid the doctor. In all the years that they were my doctor I never had so many appointments with them as I did after our little girl was born. Usually they had to drag me in even for a checkup! 6 months later I am at the point of incapacitation. Every night you would find my crying in bed all night. No amount of Tylenol or Advil touched the pain. I could not function or do any of my normal chores. I was in school at the time. I could barely sit in the desk during my night classes, it hurt so much. My kids could not sit on my lap or lean on me. I had to sit with my legs straight out in front of me. While picking up my kids from school I heard a commercial on the radio about lupus. A light went off, that sounds like me I thought. When my husband came home from work I told him about it. I explained that I was afraid my PCP was getting sick of seeing me and was tired of me coming in there. “I don’t think she believes me” I told him. I saw another Dr. in our PCP’s practice and told her about a commercial I heard on the radio about Lupus. I think I have Lupus I told her. She was going over my old blood work as I was talking to her. She looked at me and told me that I had a positive RA factor and that she was referring me to a rheumatologist. She explained that this rheumy was the best and there would be a wait to get in. But that she would be able to tell me if it was RA or Lupus. There was a longer wait than usual because somehow my paperwork was misplaced or not sent? I ended up waiting another four months to be seen. But thank God for my Rhuemy. I have a diagnosis of RA. I just cried with relief to finally have someone understand. She is the best. Was it the atmosphere at the kids school or mine? I changed my kids schools, I sped up my graduation process by loading up on classes. My husband and I argued a lot (was it our relationship that had problems I wondered?). Was it the fact that I had just quit a 17 year smoking habit? Was it hormones, early menopause? I kept trying to make myself feel better. I bought fuzzy blankets and wrapped up in them, looked for soft socks to buy, and comfy clothes. In the end none of those things helped. Plaquenil did though. When you are sick, don’t ever listen to a doctor who says “it’s all in your head”. Ever. It was one of the worst things that ever happened to me, all that time thinking I was losing my mind. I wouldn’t wish that on anyone, not even my worst enemy. Thank you for telling us what you went through to get a diagnosis, Ruby! :heart: Maybe someone reading will be encouraged to find help & not give up. Have you looked at the onset stories much? It seems like too many people have been through this. And I agree with what you told your friend – good advice. Thank you Kelly, I hope so. And I haven’t looked at the onset section yet but I am going to check it out, thanks. Thank you, Ruby. I totally understand what you were going through, what with the self-doubt and the questioning of all activities. My heart goes out to you. Thank you so much. Aren’t we lucky to have this site and be able talk to each other about this 🙂 It’s nice to have a place where you are understood! Thanks for sharing, Susan. Isn’t it hard we have to go on and on like that looking for a good doc on top of the pain of the knee itself & the treatments…? Only choice we have I guess. “Gird up our loins” & spend more $$ and go again. Did you read part 1? I think it mentions my friend w/her broken hip & “normal” Xray? I had Surgery on Monday & this has been a week of hell. 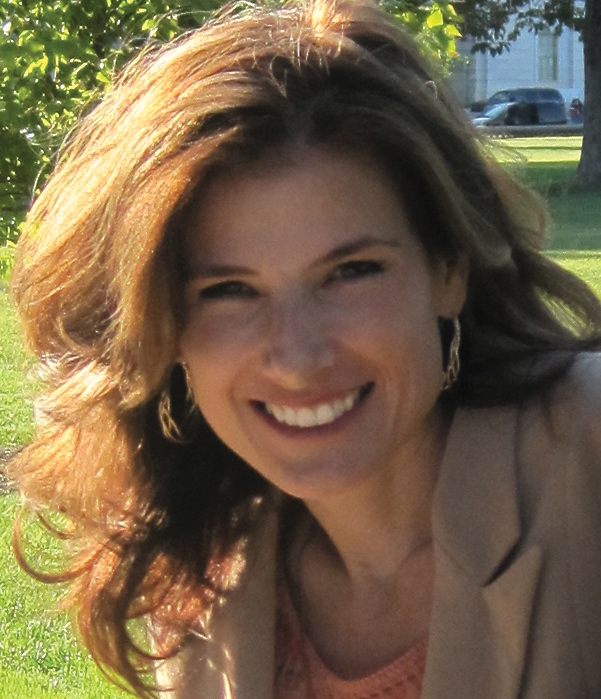 I had breast reconstruction surgery, after my year of dealing with breast cancer & chemo. I am still not feeling right. I was diagnosed with RA when I was 5 years old. I am now 60. My RA has been flairing, since the chemo treatments, but after the reconstruction surgery, which was day surgery. My RA is “off the charts.” I do not think most surgeons are aware of how RA can Flare after surgery & do not know how to handle it.. It should be made as a mandatory course in medical school. No, you are right & this is a serious issue. Especially if the patient has spine affected or larynx. Do they give you prednisone? Or can you have that post op? My symptoms began at about 6 months old, they told my Mum I had colic (for 18 months), my mother was overanxious and when my younger brother was born I was jealous! Thank God that my Mother heard about RA and thought ‘that’s it!’. My Dad found a work friend whose Son had been diagnosed with RA and they gave us the name of the Paediatric Rheumatologist that diagnosed him. All the GP said to my Mum was ‘sorry’. He only recently retired from our surgery and was extremely careful with me after that but I never forgave him for the way he made my mother feel. Incredible. It seems that so many people with rheumatic disease have these war stories. And it is amazing how painful it is to feel disrespected and misunderstood, to have their physical reality denied. It’s happened to me, too (axial spondyloarthropathy, AS). It’s good to know one is not alone. Thank you for sharing… I’ve been to emerg so many times for pain. Feel like the doctors all think I’m insane. I get told it’s in my head a lot. Even with partial diagnoses and a rheumatologist kinda on my side. I’m not presenting in normal fashion and my blood work is always perfect..except for a ever dropping platelet count and a mild positive rf. All my imaging and tests are always clear but I have lots of joints involved with pain and swelling; hands, feet, knees, wrists, ankles, shoulders and ribs. I have trouble with breathing, my digestion , bladder, had a hystorectomy and now getting heart palps. I’m 31 and feel 81. See now there’s some whining for ya! Who knows what I’ll end up diagnosed with.. new rheumatologist this week for a 2nd opinion. Thanks again for sharing, it was encouraging to read.